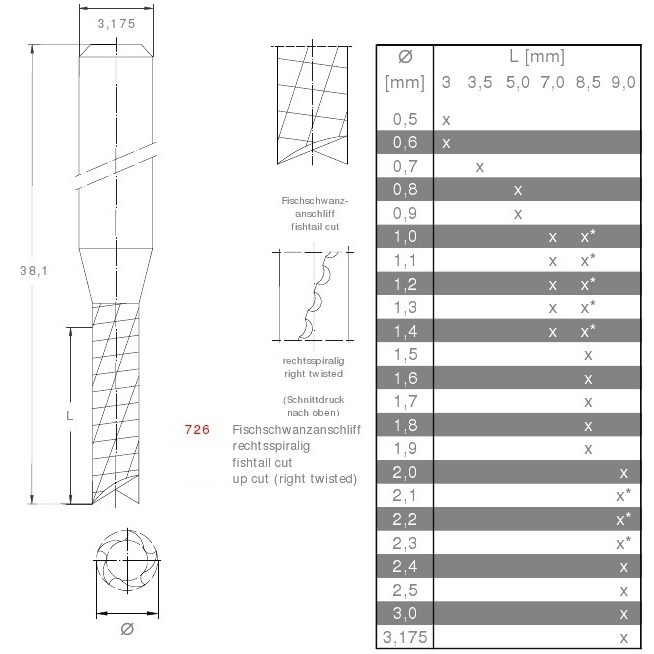 Mini Mill Spiral Patterned Flute 1.20mm | DamenCNC B.V. These mills all have the same shaft diameter of 3.175mm. Which means you need only one collet even if you have several different mill sizes. We have a size range from 3.175mm going down to 0.50mm. 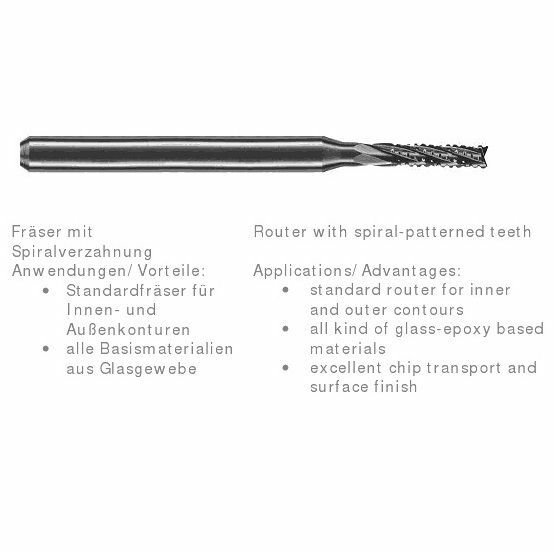 The mills have spiral patterned flutes and a very good transport of chips. They are designed to be used for glas epoxy based materials but also work well in wood.